Out of stock since Friday, 20 April 2018. Due back soon. Out of stock since Tuesday, 3 July 2018. Due back soon. 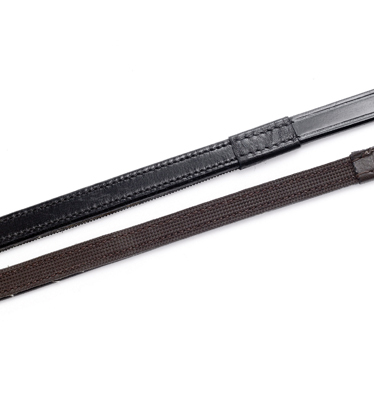 HyCLASS Half Rubber Show Reins are made from the finest quality leather and are ideal for the show ring. They have a leather outer and rubber inner which offers excellent grip for both wet and dry conditions. Made with English leather. There are currently no questions for HyCLASS Half Rubber Show Reins - be the first to ask one!